How to avoid getting sick in India - Advice from experienced travellers! No-one can go to India without considering the possible health side-effects. Everyone has heard of Delhi Belly, sometimes even using it as a catch-all phrase when referring to falling ill in other countries. Many travellers to India can attest to suffering from it at some stage in their travels. Those who have travelled to India and escaped unscathed are truly lucky people. Delhi Belly in India not only comes with a range of horrid symptoms but usually, they take hold at the most inconvenient of times, in the most inconvenient locations. Imagine being extremely ill on a train packed full of people, where the next stop is hours away and toilets are not easy to get to, nor clean. Or how about on a 14-hour flight home or in a location that is so unhygienic that the conditions are adding to your sickness. This article isn’t about scaring people off India, nor is it to say that India is worse than many other countries in the world where getting ill from food or water is also prevalent. It is about ensuring that potential travellers have accurate information about the possibility of getting sick in India. There’s no point covering up that these situations do happen and that being sick whilst travelling can ruin your entire holiday, or at least make it really uncomfortable. IF YOU WANT TO EAT STREET FOOD IN INDIA, GO ON A TOUR WITH A REPUTABLE STREET FOOD TOUR. HERE’S OUR VIDEO OF OUR TOUR. Don’t eat raw meats or any kind of raw food. Don’t eat uncooked cheese or unpasteurised dairy products. Don’t eat fruit and vegetables that have been peeled and/or not cooked. Always wash your hands and then sanitise them too. Wipe over your cutlery if you are able before using them. Don’t eat off wet plates. Don’t drink directly out of bottles or cans. Don’t drink the water. Only drink filtered or bottled water or take a Lifestraw. Eat at popular food locations. My Delhi Belly got the better of me on a visit to the Amer Fort in Jaipur. I had to take time out whilst Stirling looked around. Like any aspect of travel, everyone has a different opinion and a different level of risk that they are prepared to take. Whilst some travellers will throw caution to the wind in any situation, there are others who are totally risk-averse and will take whatever precaution that is necessary to mitigate the prevailing risks. Many will sit in the zone somewhere in between and wax and wane with where they put their focus on health-related matters. Everything comes down to personal preferences and values. 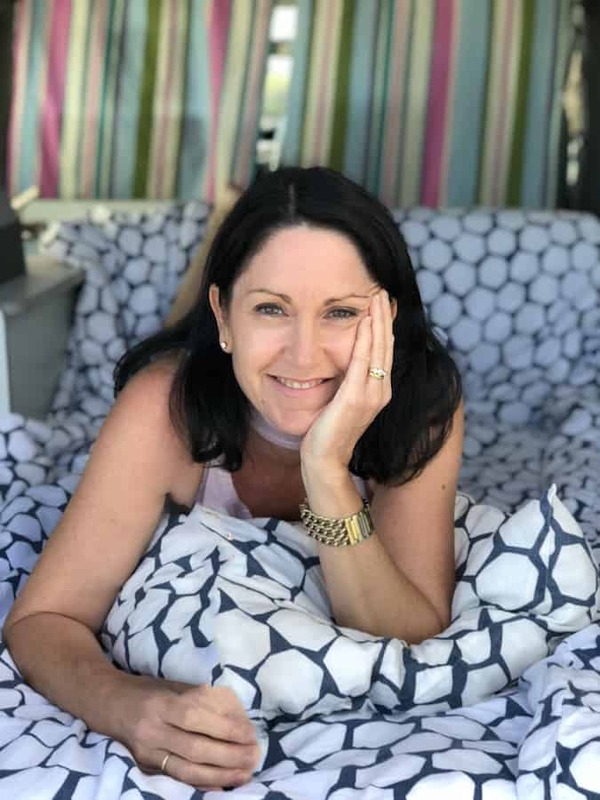 And just to prove it’s not just me who thinks you need to be careful, below you’ll hear from nine other travel writers who have at some stage fallen victim to being sick in India. Even with years of experience, it shows that anyone can succumb to the quirks of eating in a different country. Knowing how to avoid getting sick in India is the first step in trying to stay healthy. I was sick while I travelled in India, not from anything that happened in India, but a lingering stomach bug I caught in Nepal wouldn’t go away. It taught me that you’re responsible for making sure that the water you drink is clean and safe. I veer away from buying bottled water, because of the plastic waste it creates and the lack of recycling available and use a water filter system from a UK company called the Travel Tap. The LifeStraw system is similar. Since I got sick, even if the water I’m presented with has been boiled, I’ll put it in my bottle, and run it through the filter. Our filters remove 99.9% of viruses, protozoa, anthrax and pathogens. The filter auto shuts down when full. This lets me drink tap water (and river water when I’m hiking). My water filter bottle doesn’t keep the water cold, which is also important. Coldwater hitting your stomach when you’re not feeling well is the worst. Keep it at room temperature and you’ll feel much better! You can buy Lifestraw bottles here. I’ve always been really careful with eating street food and ensuring the kids don’t get food poisoning when travelling. It’s a sure way to ruin your holiday and leaves you open to having to use medical facilities that may be far less than what you are used to in your hometown. Until this one time…..
On our visit to Siem Reap, we visited Banteay Srey, commonly known as the Ladies Temple. We had just finished looking around and stopped for a drink. The lady brought out a bowl of cashews and without thinking I ate a couple, so did my daughter! I’m not sure what possessed me, I wouldn’t normally do this at home when things had not been opened from a pack in front of me. We went back to our hotel, taking over an hour in the tuk-tuk and then my husband suggested I go for a massage when we returned. I gladly skipped off to the day spa. Halfway through my massage, I started to feel sick. It was the longest massage I’ve ever had and I slowly started to deteriorate. By the end, I had to run out and back to the room and that was it. My daughter was also sick as well. For the next six hours, we stayed where we were. Over the span of almost three years in India, I had two food poisonings and they were, alas, both from posh restaurants. So, avoiding street food is not the ultimate solution. In my opinion, you can eat everything if you know the right places. I always recommend choosing homestays over the hotels to get a deeper insight into the destination you visit. Local people always know the best samosa seller in the city and which foods are better to avoid during certain times. If you don’t have a possibility to stay with the locals, use one of the Indian smartphone apps to discover the best food places, get reviews and rankings. The reality is that India is becoming fast a digital economy and even “hole in the wall” places are now on sites such as Zomato and Swiggy. Remember, the best Indian meals are served in India with native spices and ingredients, so don’t miss this experience! 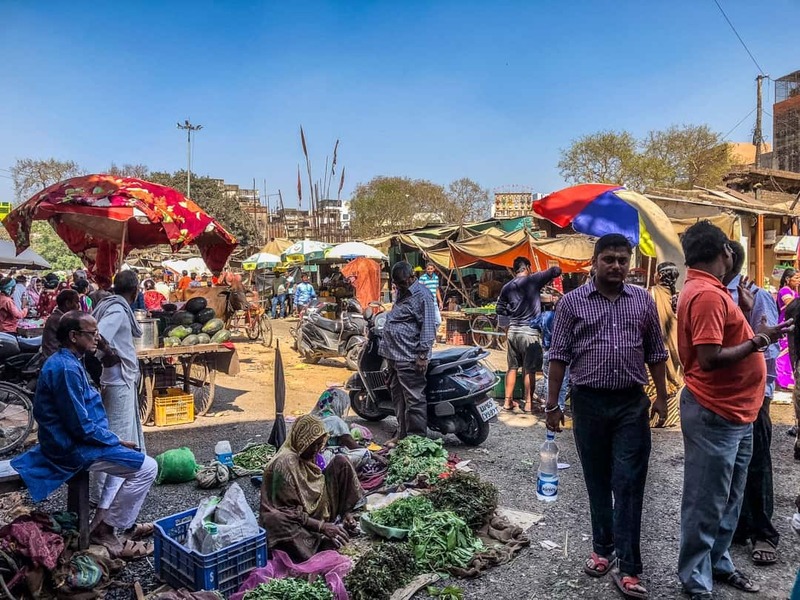 Over the six months I spent travelling in India I was luckily only struck with Delhi Belly twice, but when it hit, it felt deadly! It’s hard to avoid getting sick in India as your body adjusts to a new environment, new spices, and pollution. I got sick both times in Delhi, the second time due to a rookie mistake. A friend was visiting me so I took them to the two restaurants I loved the most in Delhi, both of which are highly recommended by travellers. The first time I had gotten sick in Delhi I had eaten at both of these places but thought the illness had to be the result of an omelette I had for breakfast from a street vendor. I blamed the street food and couldn’t imagine the restaurants could be the culprit of my illness. Unfortunately, they were as within hours both my friend and I were violently ill and en route to Agra. I was so sick the second time around I couldn’t even get out of bed to go see the Taj Mahal, something we’d dreamt of doing together. Luckily we had splurged on a luxury hotel that had a very nice bathroom as that’s where I spent the next three days. The moral of this story? If you get sick in a city never go back to any place where you’d eaten that day and take any restaurant advice with a grain of salt as you never know when Delhi Belly may strike. The local remedies are the best, activated charcoal pills, lots of water, rehydration packs, and plain rice. When you start to feel a little better indulge in garlic naan to improve your immune system. Indian food isn’t exactly easy on the stomach, to begin with, especially for anybody who’s not used to spicy flavours and very rich food. Getting sick from food in India is more the rule than the exception, but there are ways to at least try to avoid it, and some actually succeed in it. The most important thing to remember is that water is not safe to drink in India, so eating anything that may have been washed and then not cooked could be a cause for a Delhi Belly. In other words, do not eat any raw vegetables, and do not eat any fruit unless it can be peeled. It may be hard to survive without salads for weeks, but thankfully there’s plenty of cooked vegetable choices in India. The “no tap water” rule also applies to drink that may have ice. Ask for a cold coke, without ice, to be on the safe side. Make sure that your bottled water is sealed. Hygienic conditions in India are hardly ideal, and it may be a good idea to avoid eating meat. Opt to be vegetarian or, even better, vegan. There aren’t many vegan choices on the menu, everything contains cheese, milk, yoghurt, cream, butter or ghee. Tarkha Dahl (the yellow dahl) is usually a good choice. 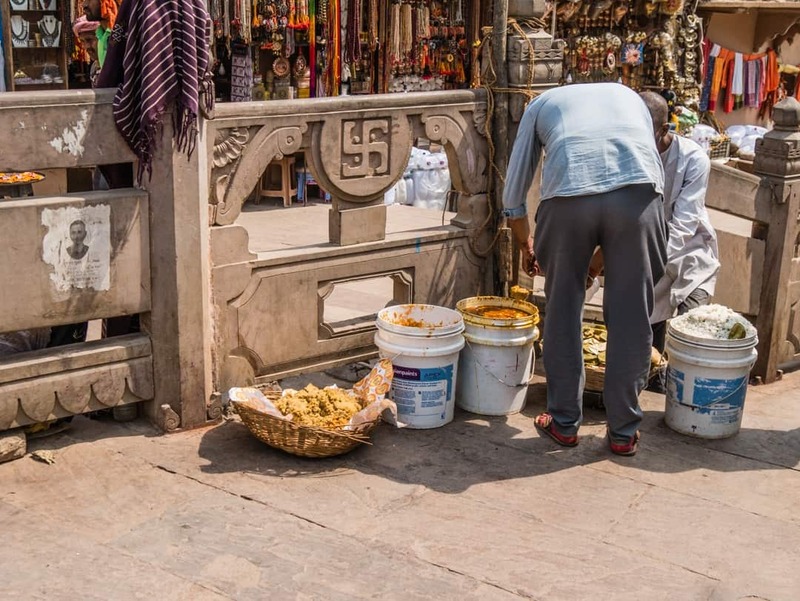 This food in Varanasi is being served from buckets and doesn’t look very hygienic! Rice is a good accompaniment to any Indian dish, yet it is among the foods that get most easily contaminated. It’s a safe measure to avoid rice at buffets, if not at all, and opt for bread instead. The good news is that there are many delicious kinds of bread in India. Street food is a big no-no. Once again, the hygienic conditions aren’t ideal, and a look at the doughnuts stall will be enough to discourage from eating. Chances are that the oil in which they are fried hasn’t been changed in years. Other good precautions include protecting your belly by taking strong probiotics pills. Start taking them a week before departure, and take them every day, on an empty stomach, for the duration of the trip. Carry some protein bars and saltines from home. They will come in handy when eating options are scarce. Go into denial. The first 12 hours or so I was ignoring the fact I was going to the toilet every hour, pretending it was just a slightly unusual bug or something. Wasting valuable time that could have been spent recovering. Dehydrate yourself. Diarrhoea is dehydrating so as painful as it is, you need to keep drinking to stay hydrated. Juice may taste nicer, but pure (bottled) water is a much better option. Catch overnight buses. Unfortunately, all the trains were booked out so we had to catch an overnight bus. With no toilet. Luckily I slept 98% of the ride, but there was a lot of worry leading up to the bus ride. Sleep in a dorm room. I tried for a couple nights, but then realised it’s not fair to everyone else in the room for a whole host of reasons. Whenever we find ourselves surrounded by a completely different culture, we try to resort to what we know. That is the nature of humans. Being in India means being in a completely different environment for most of us. For this reason, many people order “safe food” like a salad or may just eat an apple instead of eating local food. But, most of the time, the reason for the famous Delhi Belly is the use of contaminated water to wash fruits and vegetables. So you should avoid consuming any raw fruits or vegetables during your time in India. The rule is to cook it, peel it or leave it. If your food is freshly cooked and hot, most bacteria will be dead and the food should be safe to eat. Fruits like bananas that can be peeled on the spot are fine too. But make sure the peel is still intact. Try to avoid apples or fruits that have been peeled already, like pineapples from street vendors. One of the best experiences I had in India was cruising down the Ganges River. We were on open boats and slept under the stars. We’d bank during the day and walk around as the crew cooked our meals. One of the first things I noticed about the cooking was that they were washing the dishes in the river. There was also a lot of uncooked food being served. I decided then that I would stick to the cooked food such as the roti and curry and stay away from the meat as there was no refrigeration on the boat. This worked well for me and I came out the other end just fine. Others were very sick for several days after the cruise and spent their time in their rooms close to the toilet! I actually made it through my three-week trip without a problem. I have had Delhi Belly a bunch of times in Asia, where at times it was literally “coming out both ends”, and I can say it is one of the worst feelings in the world. But I was otherwise fortunate in India due to my precautions to avoid getting ill. 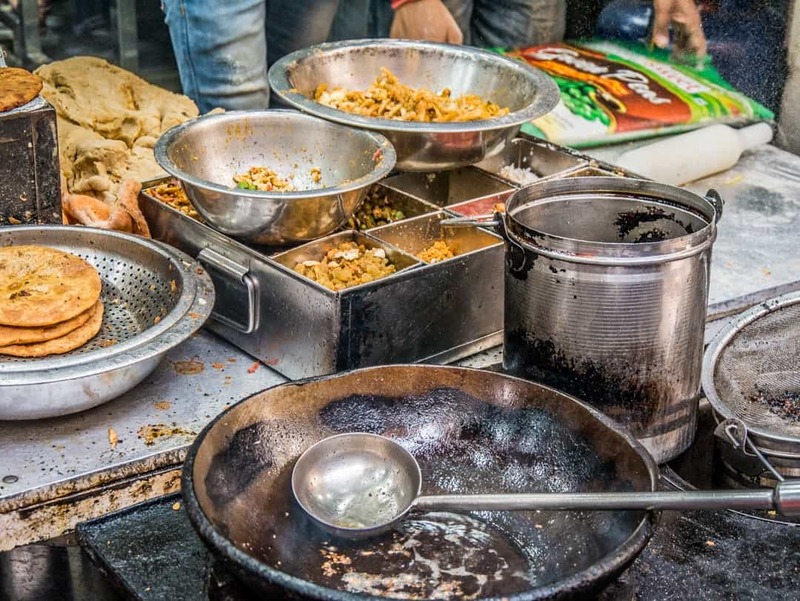 The incidence of street food contamination is no higher than restaurant foods, and it is best to go with meals cooked in front of you, rather than pre-cooked food and canteens. Otherwise, water is the common culprit, and it’s best to avoid uncooked foods, ice cubes, and to keep clean bottled water around to drink, brush your teeth, and to rinse fresh fruits and vegetables. However, some destinations will be higher risk than others, like built up cities, as you can apparently drink from the taps in the Himalayan foothills (although I wouldn’t risk it). In general, just be smart, stay within your comfort zone, and stick to the better-documented restaurants and locally trusted vendors where possible. No matter how hot and sweaty you feel, never EVER have ice in your drink. Even in reputable restaurants, ice is often made from tap water rather than bottled water. Despite all the other precautions you may be taking with your meal, just one tiny ice cube could have you becoming rather too intimately acquainted with the toilet for the foreseeable future. We found this out the hard way on our honeymoon in Peru and spent a week hugging the toilets in hostels, boats and planes. Not the most romantic of trips, but certainly memorable! If you do nothing else, learn the local phrase for ‘without ice’, it could possibly save your holiday. Always buy bottled drinks rather than those on tap, and double check the seal hasn’t been broken before you accept it. A cocktail with no ice. It’s good advice not to eat the fruit either. A couple of years ago, I had the pleasure of heading to Delhi and a city nearby called Faridabad for a wedding. It had taken me years to get to India because of my claustrophobia, but I was so excited to finally have the chance. Within a couple of days of arrival, I became violently ill. I assumed it was from the food… but I always had a super strong stomach and everyone that ate the same food as me as well and had no issues (they had issues prior to my arrival). After getting extremely sick, I took some of the activated charcoal tablets I had with me. I took around ten capsules and never vomited again and felt like a new person by morning. A few days later, the same thing happened but I swallowed another ten capsules before it got bad and it dissipated. I eventually learned that I had reactions to pollution in the city, not food poisoning. A year after this, I did end up with food poisoning in Germany and swallowed another ten capsules and my body quickly recovered while my partner was sick all day and refused to take any. I can definitely attribute activated charcoal to helping rid my body of the toxins that crept in without my consent. I highly recommend travellers going to India to take a bottle of this natural activated charcoal with them on their trip. As soon as we made our decision to travel to India, we made an appointment with our doctor to go through the necessary medical requirements for our trip. Fortunately, we were up to date with all of the recommended vaccinations for India, so we didn’t need any more jabs. Always a good thing! We did, however, discuss the potential of getting sick over there, despite all of our best intentions to stay well, and ensured that we had the appropriate medication to take with us, just in case. That being said, here are some of the things we did, and took, to prepare us for India. Visited the doctor to check if we needed any additional vaccinations and to get some “just in case” medication in the event of falling ill. These included antibiotics, diarrhoea stoppers and anti-nausea tablets. It also allowed us to discuss whether we would need malaria medication. (We didn’t because the areas we were travelling to weren’t threat areas). Started taking probiotics and olive leaf extract tablets (to assist with immunity) about ten days before the trip commenced and continued well after we returned. We packed the following in our medical kit. Buscapan – to help ease stomach cramps. Natural ginger tablets. There was a time on the train in the south of India where the train was really rocking so ginger tablets help with motion sickness. Hydralytes – to help replace electrolytes and assist with dehydration if necessary. Berocca – sometimes when you are feeling ordinary it just helps to have a lift. Hand sanitiser by the bucketload. We used this constantly. Anti-bacterial wipes – we also had plenty of these on hand, using them to not only wipe our hands but cutlery, plates and glasses as well. Tissues and toilet paper/toilet wipes. We didn’t know where we might be if we were unwell and with toilet paper not common in India, they were valuable items to pack. Sunscreen and insect repellent (for the jungle and beach). Saline nose spray – pollution is everywhere in India so having this was useful during the day and whilst travelling on the trains and planes as well. We also had comprehensive travel insurance to cover us for any issue that might arise. We also took a small first aid kit. Avoid fatty food and spicy foods. India does have food that isn’t spicy. I know you can’t take everything, but in a country like India, I think it’s easier to take what you can. This way you know the brands you are used to, don’t have to search for pharmacies which can be sometimes hard to find, or wonder what you are actually buying. Travelan – Whilst we had medication to deal with diarrhoea after the fact, I’m always on the lookout to prevent it in the first place. A friend told me about this natural colostrum supplement after I got back from India (would have loved the information earlier that’s for sure!). Simply take a Travelan tablet with every meal for protection against travellers’ diarrhoea and the symptoms that go with it such as bloating and cramps. “Stoppers” are quite often used by travellers to treat diarrhoea, however, all this does is keep the bacteria in your system. Travelan is clinically proven as a preventative measure to fight the bacteria that might be in the food or water we eat and therefore preventing diarrhoea from occurring at all. It also saves a trip to the doctor as it is available over the counter or online. Cold and flu tablets – I picked up a terrible sore throat and cold not long after I got off the Golden Chariot. Instead of being able to take a few cold and flu tablets to clear my head I let it go, allowing it to get worse. Trying to discuss your needs with an Indian pharmacist isn’t always the easiest thing and you don’t know the quality of the tablets you ultimately receive. Activated charcoal tablets – all the advice we had read prior to going was that these were mainly for treating gas. I now know so many people who swear by them so I would now want to include these as well. We continued to take probiotics when we got home as our gut was still not back to normal. I had been in India for three and a half weeks, Stirling for one week less, and it still took a week to feel better. This was also despite eating as much fresh food and vegetables as we could to get some of those nutrients back into our system. Imagine how we might have felt if we hadn’t taken any steps to stay as well as possible! Read more >> Travel security products to keep you safe when travelling. This is a great article. So much helpful information on how to avoid getting sick. I have been lucky enough to avoid getting sick, but it seems only to be a matter of time before I get hit with Delhi Belly. Thanks so much Hector and you’re right unfortunately. It seems to happen to everyone at some time. hey hey I just got back from India and totally know the amazing and neverending feeling of a Delhi Belly haha! Loved the article, very informative and love the pictures as well! I would always go back to India no matter what but I would definitely be more prepared! Thanks Kiki, it is dreadful when it hits isn’t it. Hello Guys, I am from India and I can surely assure you that you can really get sick if not taken care properly and especially in rainy season. I recommend not to eat anything from street unless you observe any hygienic practice followed by staff like wearing gloves etc. Thanks Rishav, even then it would still be a risk but interesting tip about the monsoon season too, thanks. OMG Lauren you are definitely brave! I wouldn’t even contemplate brushing my teeth in tap water! My boyfriend is Indian and I swear is the worst at getting ‘dehli belly’ … I really like your filtering waterbottle – I think I need one of those for future visits! Thanks for sharing such a useful post, there was sooooo many useful tips in there and I hope I don’t get it again! Loved this post! Been to India twice, ate off the street and never got sick once. Been to Thailand four times and three time I got sick. I agree with everything said here everyone going to India should read this! Thanks lisa, it’s just a bit hit and miss I know, but the precautions certainly would help. Everyone that I know who has been to India, has always gotten ill. I was told to use bottled water for everything, including brushing teeth but to check the seal first. yep you sure do need to watch for broken seals. We opened the water up in front of the shopkeepers every time. There is another (controversial) tip that worked out fine with me: Start training your stomach before the trip. Before travelling to Peru, I gradually stopped washing fruit and vegetables and washing my hands. In Peru, we were a group of 20 international volunteers. 19 of them got stomach problems at some point and I was the only person who stayed healthy. Even though my stomach used to be very sensible before then. These are all such great tips!! When I used to run tours in SE Asia, I would always encourage my clients to eat street food if they wanted a true experience – number one rule being that you ONLY eat in the places packed by locals! Still though, I’ve had my fair share of tummy troubles throughout my travels, and I wished I’d learned most of these tips beforehand instead of from first hand experience! What a great article about a really painful subject! Being sick abroad is the worst – being that kind of sick abroad is a special kind of hell, though. Really comprehensive tips for being informed and smart about trips to places where the hygiene isn’t super compatible with your body. Thanks for this! Wow, wow, wow! I haven’t traveled to India though I hope to get there maybe next year. I’m so glad that I got to read this and see all of the things to avoid and to prepare for. Yuck! That would be horrific! Yep it’s not good when it happens Mel. Great article! I am definitely apprehensive about visiting India because of the food. Unfortunately, I already deal with IBS, so this subject is something I think about a lot! Thanks for sharing your experience and your tips. It’s not something we all like to talk about, but it’s definitely something everyone has to deal with at one point or another! Having another illness or condition to manage would definitely make it a bit trickier. Great advice! As a person having stayed in india for more than 6 months I can say that if you are careful, you won’t get sick! I never had any problems there but I was always paying attention to hygiene and food. My husband even ate train food, street food and raw salads and he was just fine – I’m starting to think that he has some Indian blood 🙂 But I am pretty sure that if travelers would follow the rules mentioned here, they will be just fine. It takes time to get used to being so careful with everything, but it’s not impossible! Safe and healthy travels! Very true Andra, although we were hyper hygienic and did all the right things and we still got sick. I would have hated to have not followed them though. Incredibly helpful tips Kerri!I was leveled by giardia in India. Once it happens a single time, when you become that horribly ill, you become freaking hyper aware of all tips on this list LOL. Always eat local. Many tourist haunts know they ain’t seeing visitors more than once and often get lax on health standards, with a transient, hurried customer base. Local eateries? They cannot get away with that crap. Literally hahahaha….thanks for sharing! Hi there.! I really liked your blog on how not to get sick in India. I live in India 6 months a year, travelling to different destinations each time. I have only had the issue once and I knew afterwards how I contacted it. It was an unclean small food stall. We base ourselves in Kerala and live in a house with a well. We draw the water from the well for drinking and have no problems with that but when travelling the plastic water bottles you need to buy are a real problem to the environment. 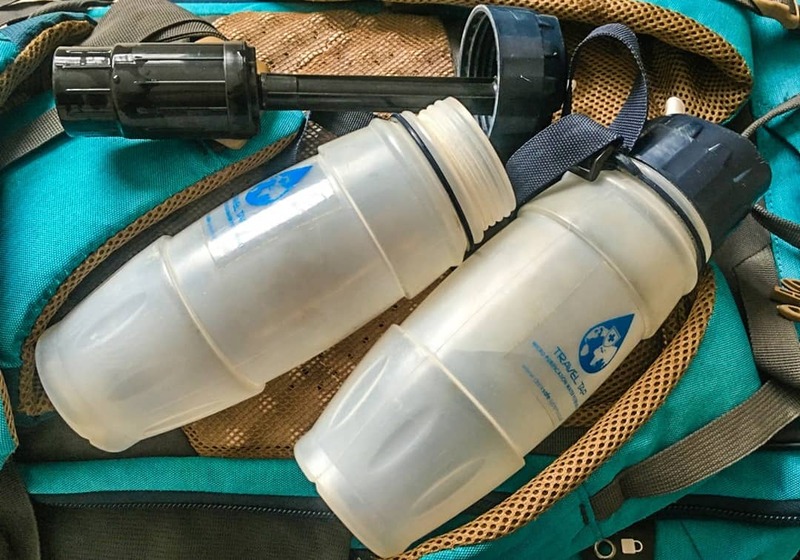 The water straw bottle you are suggesting looks like a great option. We are back in December this year and I am very tempted to purchase a couple of them. If you need anyone in the field to promote them for you I would be happy to do that. Thank you for your article and happy travels. Reading this because we’re both woken up with the usual symptoms. 4th time this trip! One per month. This time, we ate in an amritsari dhaba that had people inside but wasn’t so packed. Just had a Thali , but are suffering the consequences. The last time we visited India, my wife was ill in Indore on a stop over on the way up to Delhi. She had chronic poops but we still decided to take the non ac sleeper bus. I always carry zip lock bags and use them as packing cubes, but needless to say, we now have a funny story about crapping in a ziplock bag on a sleeper bus. Was not funny at the time… Great advice from all and thank you for this one. Oh dear, I’m suddenly transported back to India for this one! And yes, my mind doesn’t have to be too vivid to visualise the use for the ziplock bags. Hope you both get well soon, it’s not nice is it?